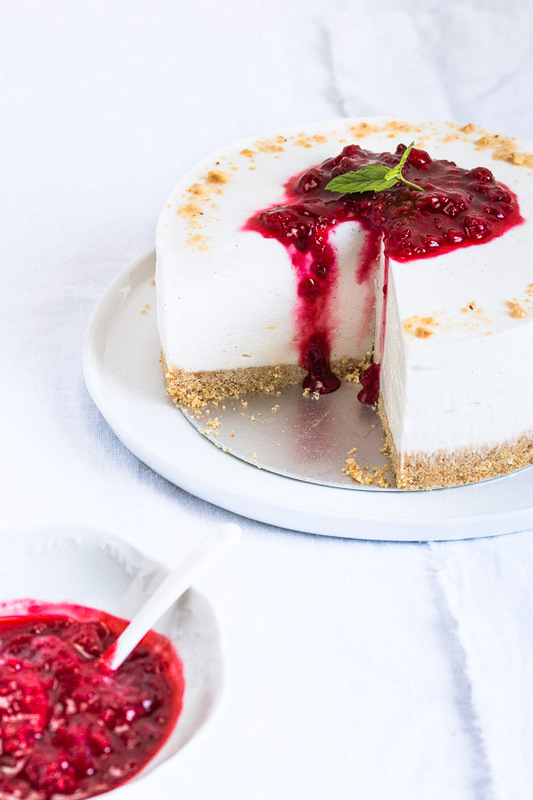 No-Bake Cheesecake - Pretty. Simple. Sweet. This is my favorite recipe for no-bake cheesecake. It’s simple and quick to make and holds its shape well. Writing my last post about my favorite kitchen products brought back memories from my days as a novice baker. 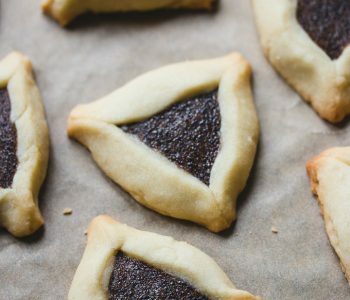 Before having a “real” oven, I used a tiny toaster oven for any baked goods, believing that there wasn’t much of a difference between the two. While theoretically you could bake a cake in a toaster oven, judging by my own cakes back then, I would have to say that it probably isn’t the best idea. The fact that some did turn out delicious still remains a mystery to me. Before the toaster oven, I had no oven at all, but that still didn’t stop me from making cakes because, if I want a cake, I will get a cake ASAP. So I made no-bake cheesecake (and chocolate salami) over and over and over again, though it wasn’t nearly as good as the one I’m sharing with you today. 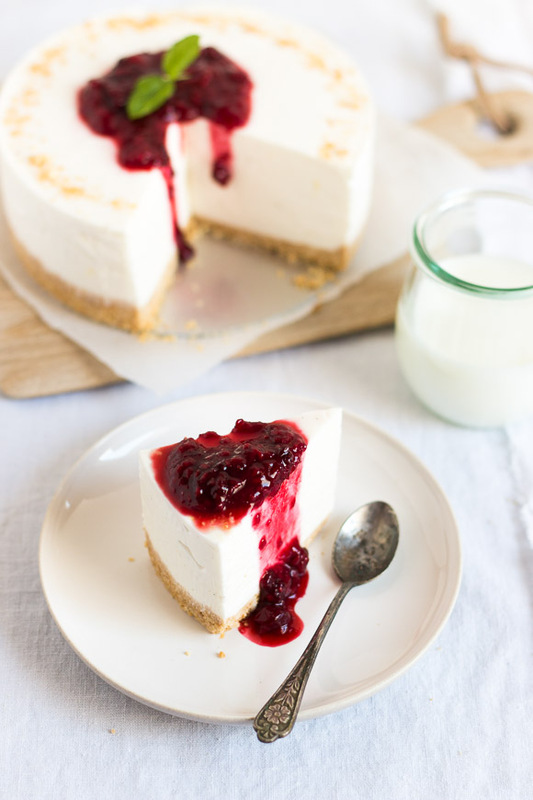 This cheesecake is tall with a creamy mousse-like consistency, and it holds its shape well after refrigeration. It’s rich but not heavy, and it tastes absolutely amazing. If you want the cake to be more stable, you can add gelatin. It’s not a must, but once you learn how to do it once, it really becomes simple and quick. First, sprinkle 12g gelatin over 1/3 cup cold water and let it sit for a few minutes to soften. Then gently heat it in the microwave for just a few seconds until melted and syrupy. Allow it to cool slightly before adding to prevent it from melting the cheese, then continue with the recipe as normal. That’s all there is to it! You can read more about gelatin in my panna cotta post. 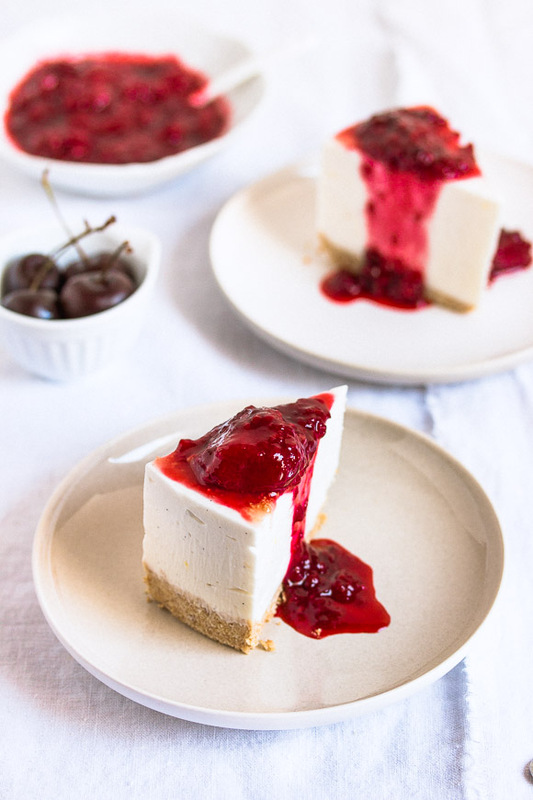 No-bake cheesecake goes perfectly with many different toppings. 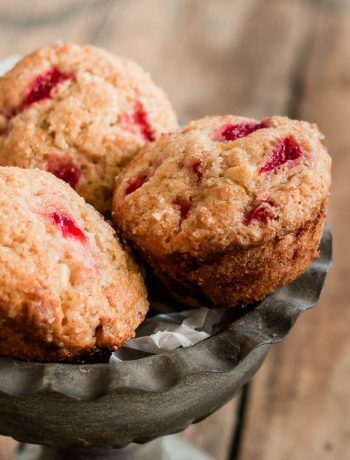 Some of my favorites include berry sauce, fresh fruit, fruit puree, cherry pie filling, caramel or salted caramel sauce, dark or white chocolate ganache, lemon curd, basic streusel, or grated chocolate. This cake is a great make-ahead dessert because it freezes well. I can make it even a week in advance if I have tight schedule, then thaw it in the fridge the night before I want to serve it. If you choose to add a topping, add it the same day you serve the cake. Make the crust: In a medium bowl, mix together crumbs and sugar, then add melted butter and mix until fully combined and crumbs are moistened. Press the mixture onto the bottom of a 9-inch springform pan using either your fingers or the bottom of a cup to form a crust layer. Make the filling: In a large bowl, combine cream cheese and vanilla pudding mix, whisking well until combined and completely smooth. If the mixture is grainy, beat with an electric mixer until smooth. Add in vanilla extract, lemon zest, and lemon juice. Set aside. Using an electric mixer fitted with the whisk attachment, whisk heavy cream and sugar until soft peaks form (they should hold their shape but have a soft texture). Using a spatula, gently fold half of the whipped cream into the cream cheese mixture, then fold in the other half. Pour filling into the pan and smooth the top. Cover pan with plastic wrap and place in the fridge for at least 4 hours, or until completely set, before serving. 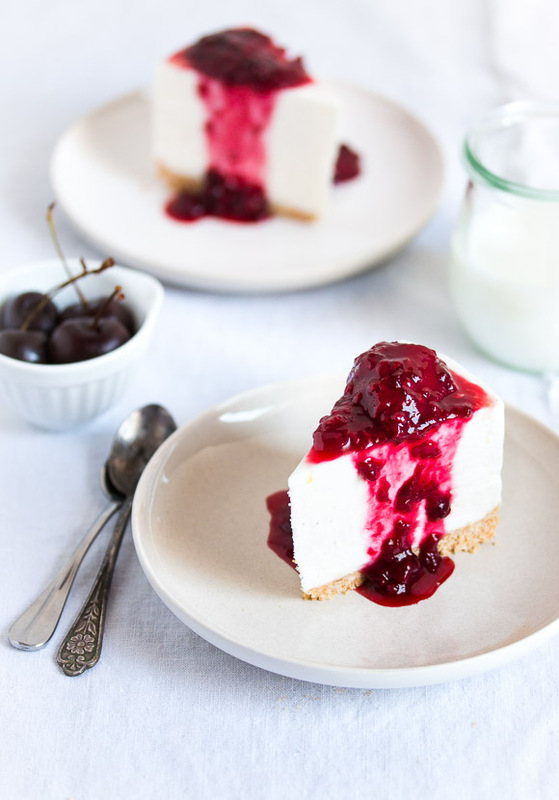 Cheesecake can be left in the fridge for up to 2-3 days. Serve cold. Cheesecake can also be frozen, wrapped tight, for 2 month. To thaw, place overnight in the fridge. Top with berry sauce, fresh fruit or any other topping you like (read above post for suggestions). *To make crumbs, pulse in a food processor or blender until finely ground. **You don’t need to make an actual pudding, just simply mix in the powder as-is. For a substitute, use ½ cup powdered sugar. You’re so sweet Beeta! Thank you so much! Wow!! Thank you so much. I am looking for the ‘no bake’ cakes. This cheesecake is absolutely delicious. I like your food styling too. Thank you so much! I’ll make sure to post more no-bake recipes then! Yum this looks wonderful. I love having some emergency cheesecake in the house so it’s great that you can make it ahead and freeze it. I also make a cheesecake then slice it before freezing so that I can lift out just a slice when I get a craving! 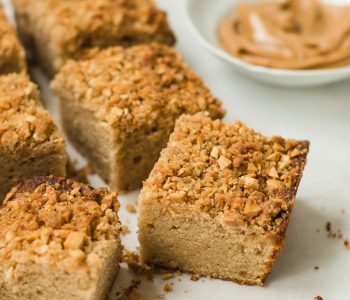 Definitely pinning this recipe to try soon! 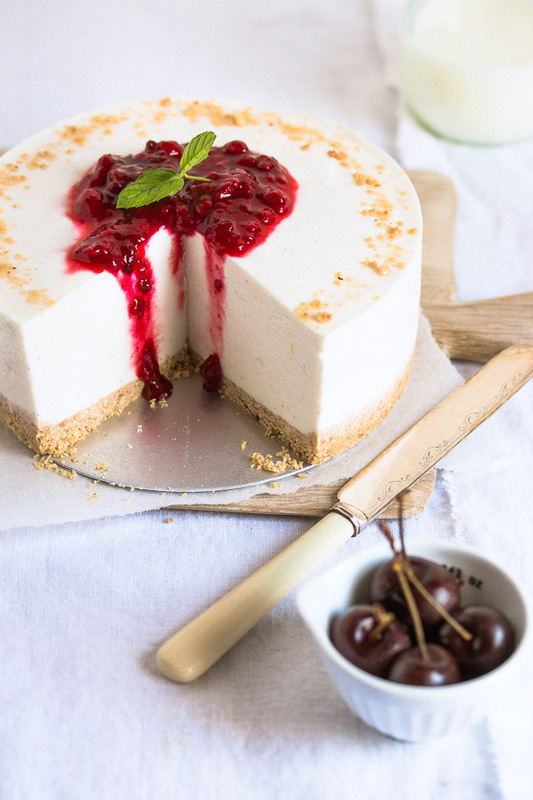 This cheesecake looks amazing!!! 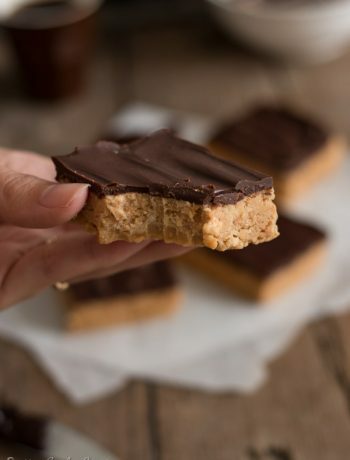 Your pictures make me want to make this right now, especially since it’s no bake!!! 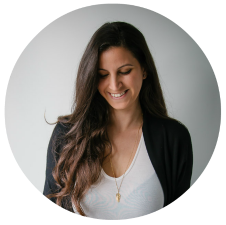 Hi Shiran, I just discovered your blog and I love it! While reading the above recipe you mentioned something called “chocolate salami”. The name has me intrigued. Would you be willing to share this on your blog? If not, I understand. I can not wait to try some of your recipes. Thank you for sharing them with us. Hi Kay! What a super sweet comment, thank you so much! 🙂 Chocolate salami is really simple to make! You can google it to see how it looks like. I’ll share my recipe for sure one day, but for now, I hope you enjoy the other recipes! Does this hold up well out of the fridge? Wanting to make it for a wedding. Sounds wonderful…Thanks. Hi Trish! Once the cake reaches room temperature it becomes soft, so it all depends on how long you want to keep it out of the fridge. You can add gelatin if you know how (I mentioned it in my post), but even without it, as long as the cake is still pretty cold, it would hold up well. 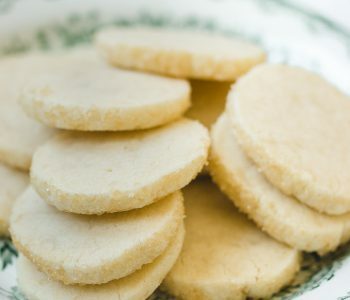 Instead of using vanilla extract you can use vanilla sugar (substitute some of the sugar in the recipe with 1-3 packages of vanilla sugar), which is sold in small packages and keeps for a long time. You can omit the vanilla if you must, but it does add a great flavor. If possible, I recommend to at least use lemon zest or orange zest, or a fruit/citrus flavored liqueur. This looks so good! Thank you for posting. 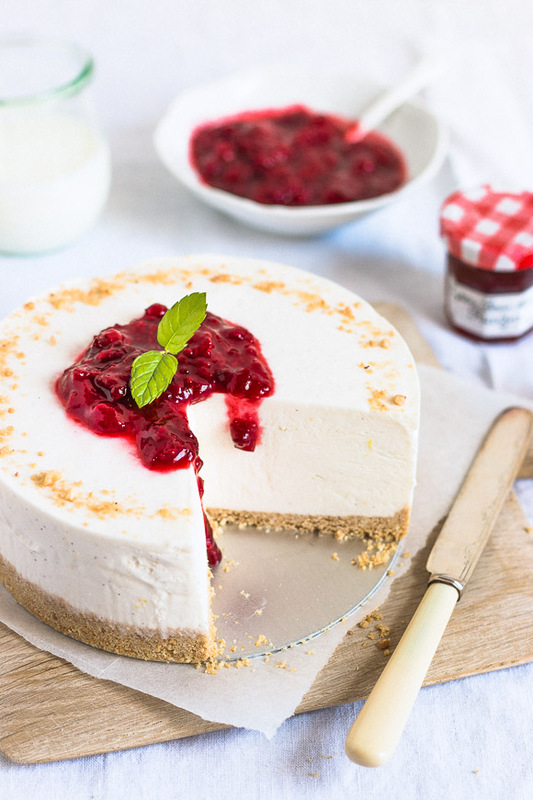 What do you think about using some sour cream in the batter to give it a hint of tartness just like the flavor of a classic new york cheese cake? Should I sub half the amount of heavy cream for sour cream? Hi Tina, the cake holds its shape well because of the whipped cream, so I’d start with a smaller amount of sour cream, about 1/2 cup, and if you like the result you can keep adjusting. You can also try to replace some of the cream cheese with sour cream. Hi what height was the tin you used Shiran? looks amazing! Hi Sharyn, for cheesecakes I use 3 inch tall pans. I’m definitely giving this a try!….but what is instant pudding?…is it like a mousse or angel delight type product? A common brand for the instant pudding vanilla mix is Jell-O. It’s a powder, and it helps to stabilize the cheesecake. If you know how to work with gelatin, you can use it instead. I used the filling from this recipe, and the topping and bottom from the chocolate peanut butter cheesecake!! The filling tastes superb like the white choco. cheesecake!! Oh, and the ad-hoc brownies turned out great! 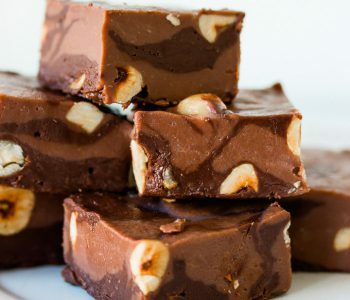 They were chocolatey, rich, fudgy,.. a bit heavy, but they can’t be delicious without this texture! Hey.. can i use custard powder instead of instant pudding mix for the no bake cheesecake,??? Hi Rose, I’ve never used custard powder so I’m not sure. The pudding mix helps with texture and gives a nice flavor. You can replace it with powdered sugar, and use gelatin. In the post above I mentioned how you can use gelatin. Please be more specific about exactly when and how in the process to add the 12g gelatin if you don’t want to use instant pudding mix. Can you please tell me in tsp amounts how much 12 g of gelatin measures out to? Hi Barbara, 12g are 4 teaspoons. Mix the gelatin mixture with the cream cheese at step 2. Barbara, you can find a conversion table in most cookbooks, you can buy one or look on the internet for specific measurements. Just do a Google search asking how many teaspoons in a gram, or whatever measurement you need to have converging!! This sounds amazing. I’ve been searching for a no bake cheesecake that has gelatin in it. And I found one. On a comment above someone asked about the gelatin and said to use the gelatin in place of the pudding. That’s not what your saying, right? Use the pudding powder and the gelatin? I’ve only used gelatin once. Do you mix it after it’s heated til the gelatin is dissolved? And what about adding some white chocolate? Would that be good? How much would you use? And if any, add it in last? Sorry for all the questions! I want this to be epic! I’m making it this weekend !! Hi Kimm, yes, I use both the pudding mix and gelatin. It’s better to mix the gelatin after it’s heated (not before) until dissolved. White chocolate will change the texture of the cake and the recipe will need some adjustments, so I can’t suggest it without testing. Enjoy! 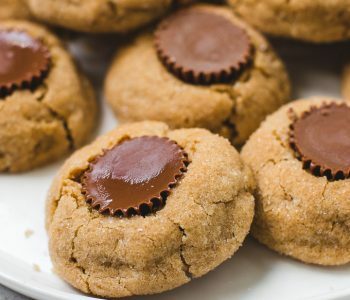 Does the sugar need to be melted in hot water before whisking in the heavy cream? No, the sugar will dissolve into the cream. Do you think there would be a strong enough banana flavor if I used banana pudding mix? If not, what can I do to get more of a banana taste? Hi Emily, I don’t know what the result would be if using banana pudding mix, sorry! 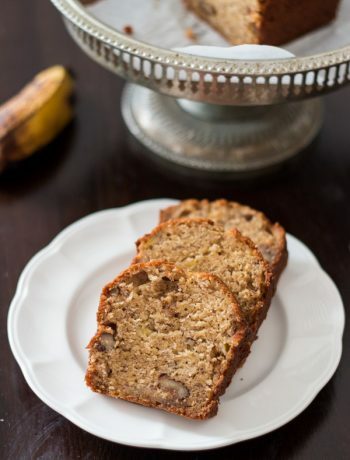 I haven’t tried this recipe with banana.